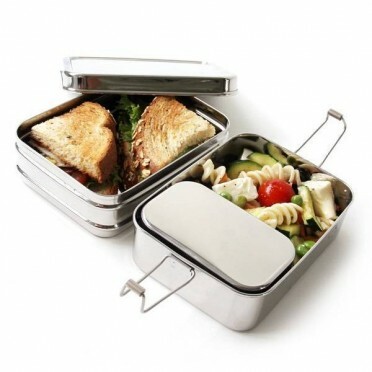 This "3 in 1" stainless steel lunchbox is a three-piece nesting lunch box set. This nifty bento container makes it easy to pack a variety of foods and keep them all separate - and safe from squishing! 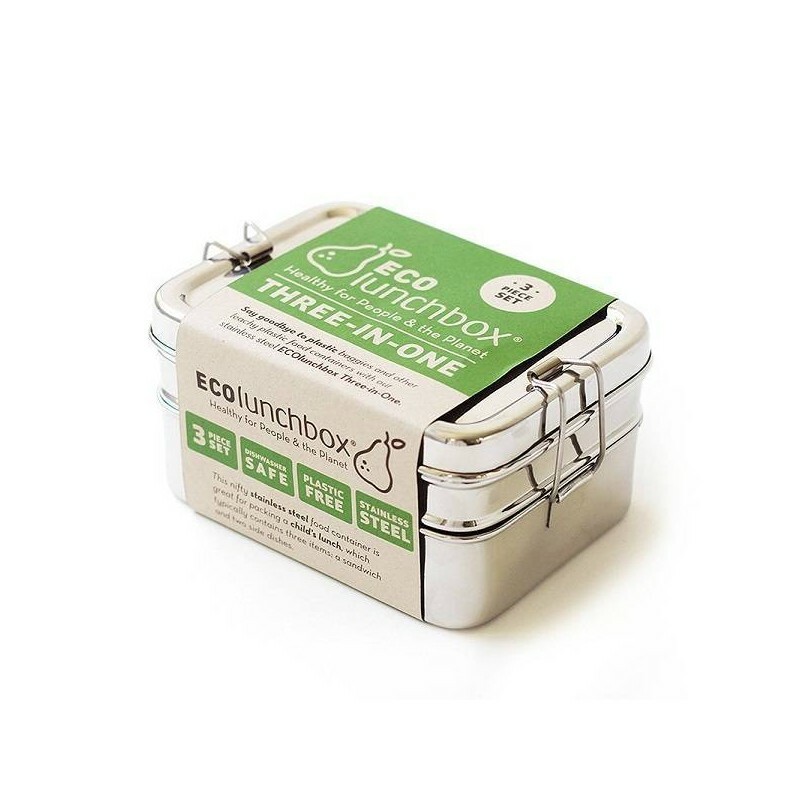 Our Three-in-One is perfect packing a healthy entree and two side dishes. 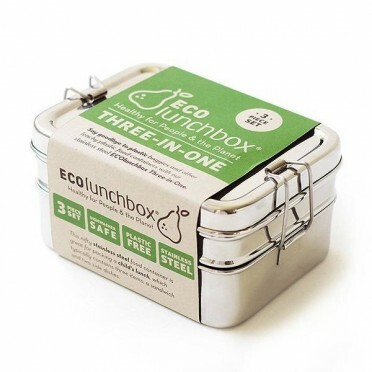 The ecological, healthy and durable alternative to plastic containers. 100% food-grade stainless steel 201. 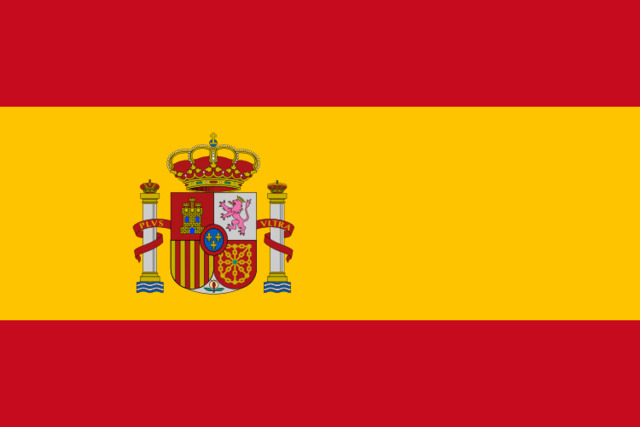 (17-19% Chrome and 4-6% Nickel). 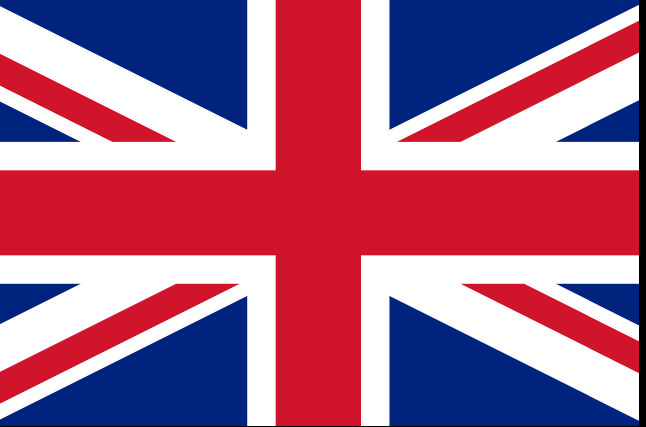 They are also tested to safeguard against lead and other hard metals that could be unsafe. They are free of all estrogen-mimicking chemicals, such as bisphenol-A (BPA), phthalates, and bisphenol-S (BPS). 3 piece nesting bento set. 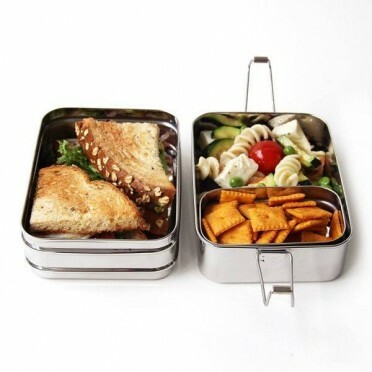 Includes upper and lower food containers plus a snack container. Three different sections keep food from touching and mixing. Also works great for portion control. Kid-tested clips can be adjusted looser or tighter. Container is not leak-proof since no plastic or silicone gaskets are used. Not for use in microwave. Hygienic: This box features rounded corners, so there are no hard angles that allow germs and bacteria to hide out inside. Stainless steel is a material that is used extensively in the kitchen due to its general resilience against things like heat and corrosion, along with a pretty good level of stain resistance. Usually, the chromium within stainless steel reacts to oxygen in the air and forms a protective film, preventing problems like rust and reducing the risk of permanent marks. With gentle care and regular cleaning, stainless steel will often last for many years. Regular gentle cleaning is required to preserve the appearance and integrity of its surface. In fact, stainless steel actually thrives with frequent cleaning, and, unlike some other materials, it is impossible to "wear out" stainless steel by excessive cleaning. Please wash all products with warm soapy water prior to first use. 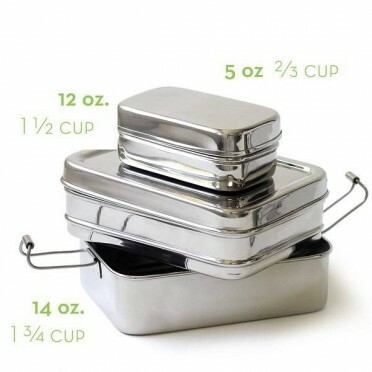 Once used, wash the stainless steel container with warm, soapy water. To remove stuck food, soak the bowl for a few minutes in warm, soapy water. After a few minutes, scrape it with a cloth, with your hands or with a wooden or bamboo spatula. For more stubborn cases, simply mix one tablespoon of baking soda with a little water making a thick paste. Cover the problem area and leave it for half an hour. Then wipe with a damp cloth, rinse and dry. Do not use bleach, harsh chemicals, abrasive cleaners or hard scourers, because they scratch the surface and. 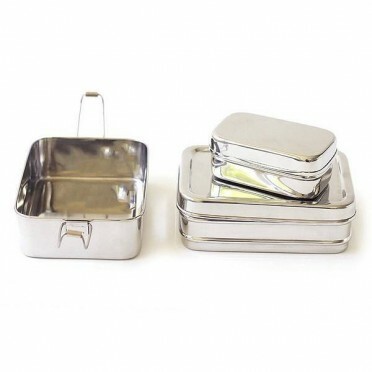 With proper care and cleaning, your stainless steel lunch boxes can last a lifetime. Never use steel wool or steel brushes. They will scratch the surface of your stainless steel and make it more susceptible to rusting and staining. Long-term exposure to table salt and vinegar mixes can damage stainless steel. In order to reduce chance of staining, do not allow the following acidic food items to remain on stainless steel surfaces for hours: ketchup, mustard, mayonnaise, lemon juice, vinegar, salt, and salad dressing. If the sticker is a bit difficult to remove: Soak the container in hot soapy water ant then Rub with a cloth soaked in vinegar. If that doesn't work, soak the label with vegetable oil, then gently scrape off. Or, finally, Soak the container in boiling water, allow to cool slightly until you can handle, then scrub sticker off.